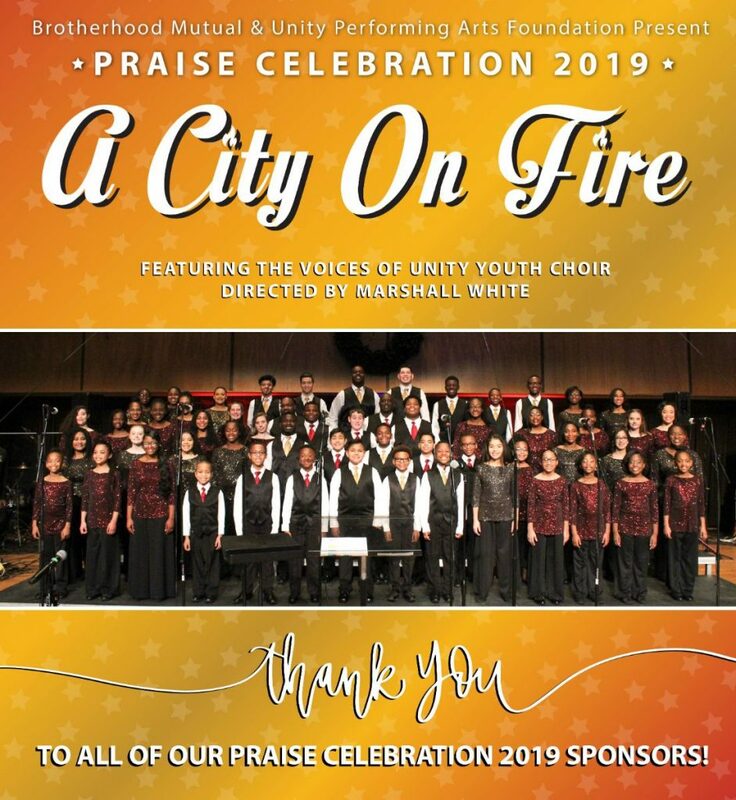 The Unity Performing Arts Foundation sponsored fundraising concert “A City on Fire” was a major success. We witnessed the largest Praise Celebration concert audience to date. Thank you, Fort Wayne! We are also appreciative to those of you who traveled from distant cities to come experience the Voices of Unity Youth Choir. Our community was inspired, encouraged, uplifted, charged and full of celebration all night long. The prayers, spoken words, singing, and dancing were presented with the highest level of excellence. Our gifted young people demonstrated passion and heart as they poured out their souls while singing every song of praise. There is still time to make a pledge. Please fulfill your pledge at your earliest convenience by clicking the button below.